We offer basic, intermediate, advance and expert levels of training services to our clients. We use our Occupational Health expertise to assist companies in developing and implementing effective training plans. Please find below some of the trainings capability. 23 Essentials of Occupational Health and Safety Profession. 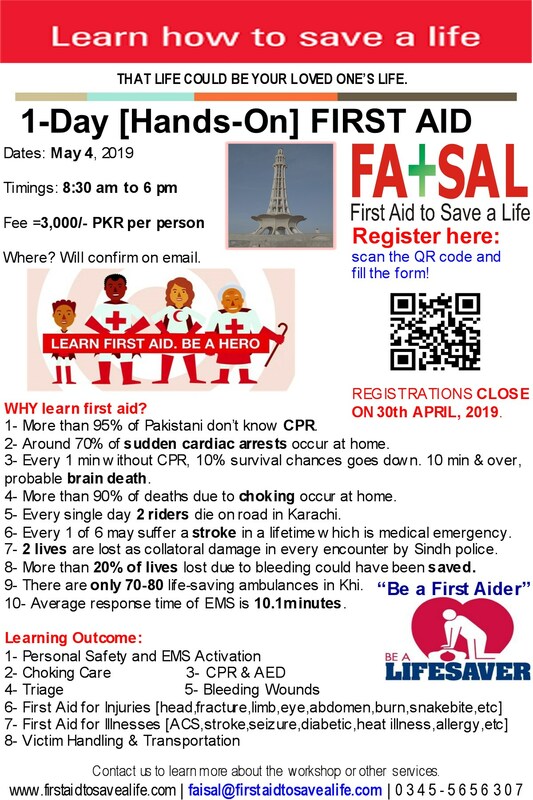 For more details on courses and/or quotes, please email us at faisal@firstaidtosavealife.com or info@firstaidtosavealife.com or do make a contact on +92 345 5656307.